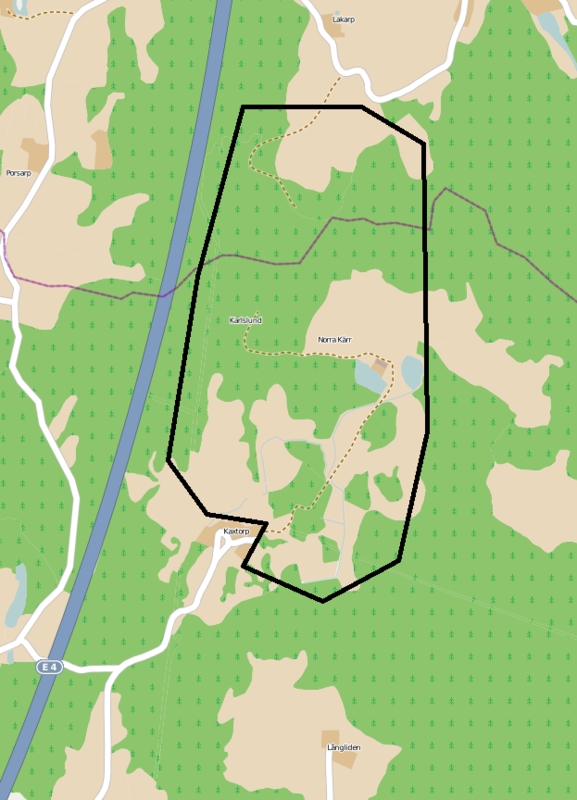 The Norra Kärr mine project is located in Jönköping county. It contains rare earth minerals and a zirconium reserve. It threatens lake Vattern and surrounding natural areas. In 2016 the supreme administrative court of Sweden withdrew the concession. The mining project in Norra Karr is located in Jonkoping municipality and started with prospecting in 2009. Tasman Metals Ltd (a subsidiary of a Canadian firm) was originally responsible for the project but they merged with another mining company and is now called Leading Edge Metals. They have found rare earth minerals and zirconium in Norra Karr and claim that the deposit is the fourth largest in the world. Leading Edge Minerals also claim the deposit will be important for the whole world and the minerals will mostly be used for green technology. Compared to mining in other parts of the world, the company states that it would be better to mine the minerals in Sweden considering that the regulation is stricter there than in most other countries. Since 2009 they were granted a concession, which gave them permission to continue exploring the ground for minerals. However, the concession permission was appealed to multiple instances including the government, but the appeal was rejected. The Swedish government has a set target to be Europe's leading mining country. Finally, the Supreme Administrative Court overturned the concession permission due to the fact that Leading Edge Materials had not described the potential environmental impact of facilities such as tailing dams on the surrounding environment. Norra Karr is located near a "Natura 2000" area which is protected by EU law. The proposed mine is also located close by and uphill of Vattern, a lake which provide 250 000 people in Sweden with fresh water. A lot of environmental groups including Save the Baltic have been concerned by the impact the mine might have on Vattern. One of their concerns is that sulphuric acid is used to separate the rare earth minerals from other minerals. The waste minerals are then stored in tailing ponds. Environmental groups are concerned that both acids and minerals will leak into the surrounding environment and specifically into Vattern, which could spoil the drinking water for hundreds of thousands of people. Environmental groups are also concerned about the consequences this will have on the surrounding environment, and how this will affect plants and animals in the area. These groups also stress that the company only deposit a small bond as security against damages, this is way to small for the actual damage that could occur. The bond accounts for 50,000 SEK (5,500 USD), comparing to similar companies that have spent up to 200,000,000 SEK (22,000,000 USD) on damages. The environmental groups stress that the company have reserved an insufficient amount of money to pay for the environmental degradation. 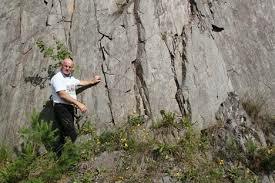 -The Geological Survey of Sweden. Why? Explain briefly. The project has been revoked by the Swedish Supreme Administration Court and is temporarily on hold. Leading Edge Materials now has to submit a new environmental impact assessment to the Mining Inspectorate where the potential effects of tailings ponds on the surrounding environment are included. The fact that Leading Edge Materials needs to make further assessments and the project has been put on hold can only be viewed as a temporary success if the ultimate goal is to stop the mine altogether, which many environmental groups believe is necessary. Otherwise the drinking water and the wildlife are forever threatened. Adjudgement by The Swedish Supreme Court. "Leading Edge Material Corp. Condensed consolidated interim financial statements for the three months ended January 31 2017. Tasman Metal AB set 50 000 SEK (5500 USD) as a bond guaranteeing the safety of their operations. Taxpayers may account for the mining companies remediation costs, since a remediation is estimated at 200 million SEK (22 million USD). The environmental group "faltbiologerna" calls for mobilization. The mining project and the surrounding Natura 2000-areas. Mining plans on hold at Gränna (Granna). The government is sending back application for mining operations at Norra Karr to the Mining Inspectorate for a new assessment. A Facebook-page for people engaged in the future of Vättern (Vattern).